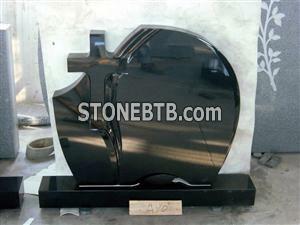 Material: China best granite material, Shanxi black granite and Hebei black granite. Style: European style, Russian style, American style, middle east style. Shaping: up to clients photos and descrition. Delivery: Fast delivery, our capacity of tombstones is 8 containers of shaping tombstones and 30 containers of rectangle tombstones per month. Packages: strong wooden crates suitable for long shipment transportation.